ChillOut contains L-theanine, a unique amino acid found in green tea that helps animals (including humans) to stay relaxed and calm. 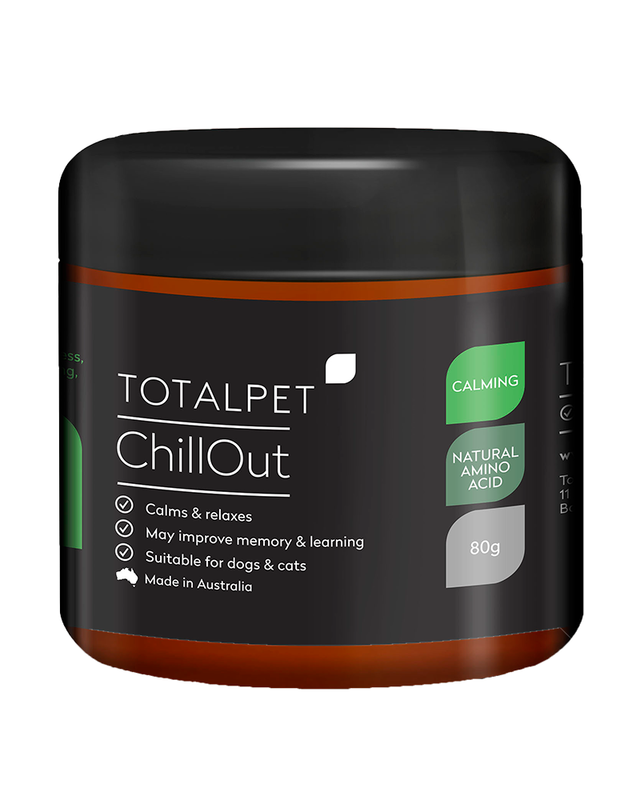 ChillOut is a high quality, cost-effective, proven calming supplement for dogs and cats. It is a convenient and easy to use powder that you add to your pet's food. It has been laboratory tested, providing you safety and peace of mind. 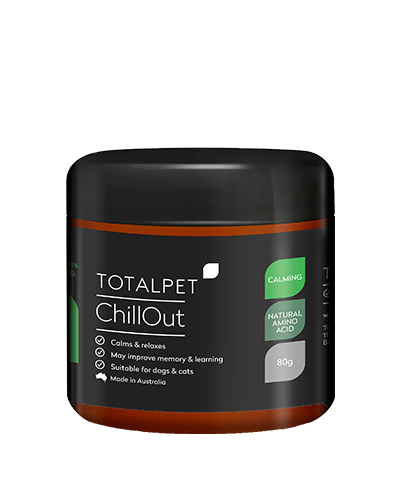 ChillOut promotes relaxation in pets exhibiting anxiety and nervousness due to a variety of causes such as travelling, vetting, showing, kennelling, unfamiliar people and during thunderstorms. 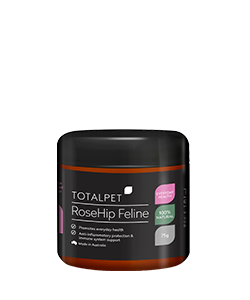 Clinical trials have been conducted in dogs and cats and have shown that L-theanine is effective in reducing fearful behaviour.  Behavioural studies in animals suggest that L-theanine may be associated with improvement in learning and memory.